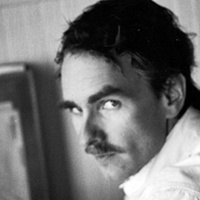 Brian Blanchfield is the author of two full-length books of poetry: Not Even Then (University of California Press, 2004) and A Several World, (Nightboat Books, 2014), which received the 2014 James Laughlin Award from the Academy of American Poets and was longlisted for the 2014 National Book Award for Poetry. He is also the author of Proxies, a collection of essays–part cultural close reading, part dicey autobiography–forthcoming from Nightboat in early 2016. He is the recipient of a 2015-16 Howard Foundation Fellowship, and his work has appeared in Harper’s, The Nation, Chicago Review, The Brooklyn Rail, A Public Space, Lana Turner, The Paris Review, Brick, Conjunctions, Guernica, The Awl, and The Poetry Project Newsletter, among other journals and magazines. Moderated by Robert Polito, professor, the Creative Writing Program.